I want to share with you a few simple but important ideas that will help you to achieve success, whatever success looks like to you. These are all things I have used as a shy person so I know that you can use them too. They will build your confidence without making you feel like you are even stepping out of your comfort zone. 1. First of all I want to talk about belief. Building belief in ourselves and what we are doing is really important if we are going to stick to our chosen path and become successful. Belief is the basis of all action. If you believe that something will happen, you will more likely carry out the actions required to make it a reality. You must choose to believe that you can do anything you set your mind to, because you can. How do we build our belief? We can build our belief by reading inspirational and motivational material. 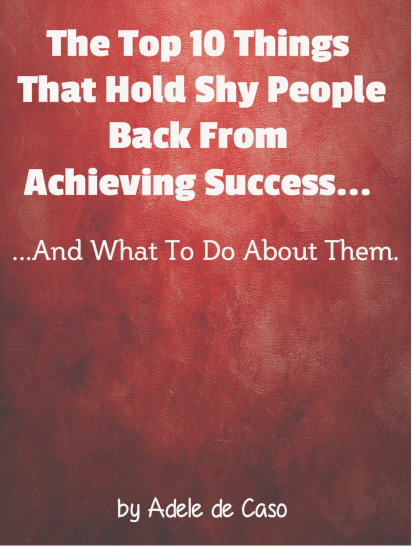 Read about others who have become successful. I find this massively inspirational. 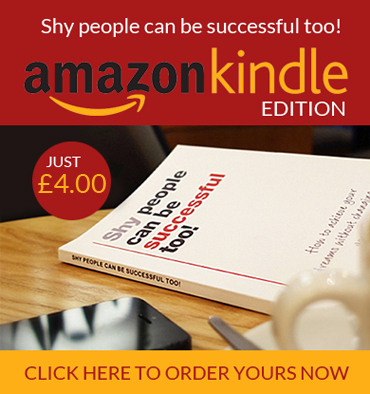 Just go to Amazon and search for “Success”, you will get endless titles to choose from and the brilliant thing is that lots of the books are only a couple of pounds each. Another source of learning is YouTube. I love watching videos about success. You can also go to www.ted.com to see numerous talks from successful people about lots of different subjects. If you put what you read and learn into practice one step at a time and you will gradually build your belief in yourself. 2. The second thing I would recommend that you do is to repeat affirmations to yourself. Everything we say to ourselves is in fact an affirmation. We are constantly sending ourselves subconscious messages. By making a point of saying positive things to ourselves, we can ensure that we are making a positive impact on our subconscious mind. This in turn will affect our actions and behaviours. Something I have found really helpful is to keep a list of affirmations in the notes section of my phone. Whenever I get the chance I scroll through them. It takes seconds but the effect it has is amazing. The best times to do this are last thing at night and first thing in the morning, but any time of day is beneficial. Just do it as much as you can. Don’t worry, you don’t have to say them out loud if you don’t want to! Imagine the life you really want to live, the home you want to live in, the car you want to drive, down to every last detail and visualise it daily. When you visualise you materialise. I remember vividly when one of my goals was to own a new Mini Cooper cabriolet. I pretended that my car was the mini that I wanted so badly. I wound down the windows, played loud music and visualised that the steering wheel was the leather chunky steering wheel that belonged to the Mini Cooper! And it worked! About 6 months later I was the proud owner of my new mini. If it helps you to visualise, collect images and photos of your dream lifestyle. Stick them in prominent places where you will constantly be reminded of them. 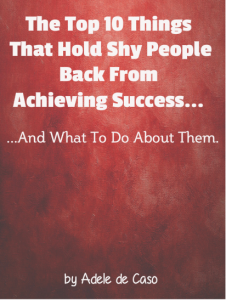 Napolean Hill has influenced more people into success than any other and he said…. If you just believe this statement deep down, it is a bold step towards living the life of your dreams. 4. It is really important that you understand that you create your own circumstances. These are two affirmations that I learned from Louise Hay and I use them all the time. I also love this quote from George Bernard Shaw….. The people who get on in the world are the people who get up and look for the circumstances they want, and if they can’t find them, make them“. Don’t ever stop believing that you can do it. 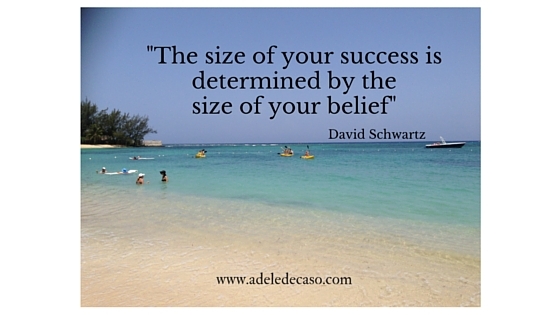 This entry was posted in Blog and tagged Belief, Success, Visualisation. Bookmark the permalink.